Sometimes keynote speakers are as dry as the banquet chicken, and their message is equally hard to digest. Motivational speakers come in all flavors, but the best add spice to their presentations with bits of humor and personal anecdotes. They tend not to lecture; instead, they suggest. They stimulate minds, encourage discussion and bring new ideas to life; they may tell jokes, talk about change or point out problem areas, but they also lead the audience to a consideration of better ways and workable solutions. You’ll sense the excitement and see the effect. A speaker that will leave your audience clamoring for more will have a down-to-earth approach, one that is practical and sensible. A great keynote address is not a graduate seminar; it’s more like a pep talk before the big game, one that offers actionable advice, instills confidence and empowers winning action. 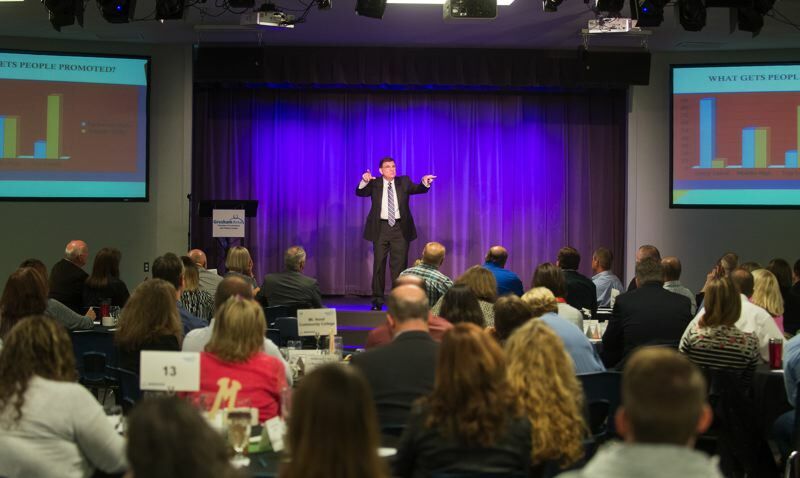 If you need a professional keynote speaker, breakout speaker, team building speaker, sales training speaker or leadership speaker, look for someone who is willing to tailor a program to fit your specific needs. The best speakers may not have extensive knowledge of your specific business or industry, but they will have extensive, varied expertise and a “sixth sense” that helps them relate to people and situations. Good speakers rely on that experience to communicate their points, and the message resonates with both seasoned business leaders and new hires hoping to scramble up the management ladder. They “speak your language,” and they will deliver a hearty serving of practical advice that’s as pertinent to the board room as on the sales floor. Mike Hourigan has delivered more than 1,500 speeches in 17 years on the professional speaking circuit, and he has built a reputation on his ability to gauge audience mood and deliver just the right recipe for success. So, if you’re asking yourself what a keynote speaker can do for you and your organization, why not check out Hourigan and his menu of popular topics? You can bet he’ll cook up something good! Contact Keynote Speaker Mike Hourigan by filling out the form below.